This is what the She-Beast is up to, besides being pelted with Tomatoes. 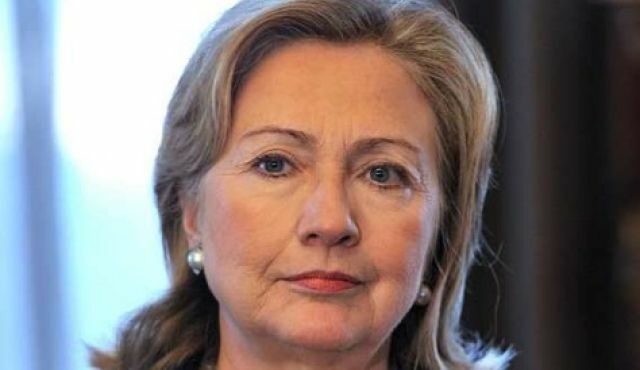 Clinton waives conditions placed by Congress on the 1.3 billion dollars of aid - requiring Egypt to meet certain democratic reforms before being granted the funds. U.S. Secretary of State Hillary Rodham Clinton gave the green light Friday for U.S. military aid to Egypt despite concerns that Cairo was not meeting goals in its democratic transition. Clinton waived conditions placed by Congress on the 1.3 billion dollars of aid - requiring Egypt to meet certain democratic reforms before being granted the funds - saying the move was in the United States' national interest. "These decisions reflect America's over-arching goal: to maintain our strategic partnership with an Egypt made stronger and more stable by a successful transition to democracy," State Department spokeswoman Victoria Nuland said. Now she does these actions on behalf of the American Public at the Orders of President Obama. The other issue is even more troublesome. The U.N. Small Arms Treaty, which she will sign on Friday the 27th is a direct assault on the American Public and the U.S, Constitution. Now there are not enough votes in the Senate to Ratify it, but it doesn't have to be ratified, to be implemented. If a Treaty is signed by the Secretary of State, and not renounced by the President, and not voted on by the Senate IT BECOMES THE LAW. On July 27th, the nations of the world are scheduled to meet in New York to sign a global Arms Trade Treaty (ATT). Disguised as a way to prevent the proliferation of small arms throughout the world, it is, in fact, a backdoor way to legislate gun control in the United States and effectively repeal our Second Amendment. The ATT will set up a global body which will require all nations to regulate firearms so that they can prevent their exportation to other countries. Inevitably, this will require countries to inventory the guns in private hands and to register them. A gun ban is not far away. The ATT, under the Supremacy Clause of the US Constitution, would have the power of a constitutional amendment and would, effectively, repeal the Second Amendment guaranteeing us the right to bear arms. If after she signs this Treaty Obama is reelected there will be people coming door to door for our guns. There will be blood. Do not underestimate the venom and violence that the American Public will react with. I posted a clip of what the head of the NRA said to the U.N. and he represents the sane gun owners. Labels: Guns, Hillary, Obama, Small Arms Treaty, U.N.